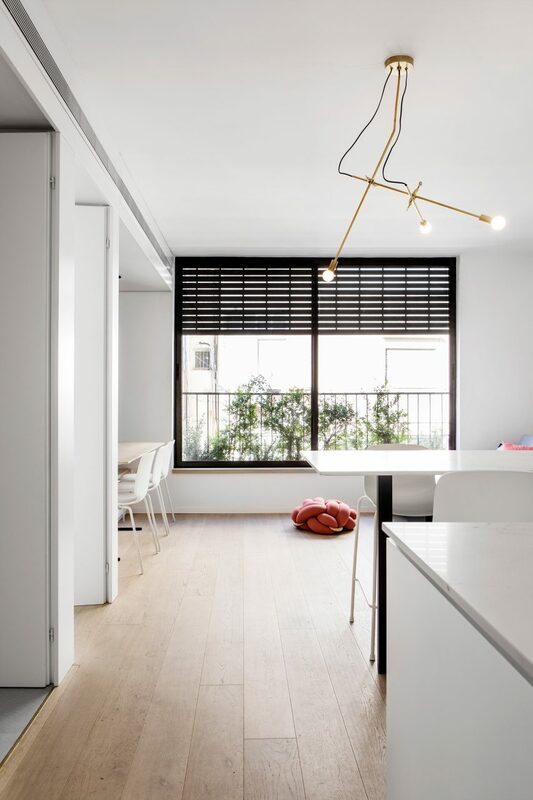 The 54-square-metre apartment is located within a building constructed in 1945, which hadn’t been renovated since its completion and had consequently become outdated and run down. “The first challenge was of course planning a layout that contains all features, incorporating much storage and creating modularity,” Zusman told Dezeen. 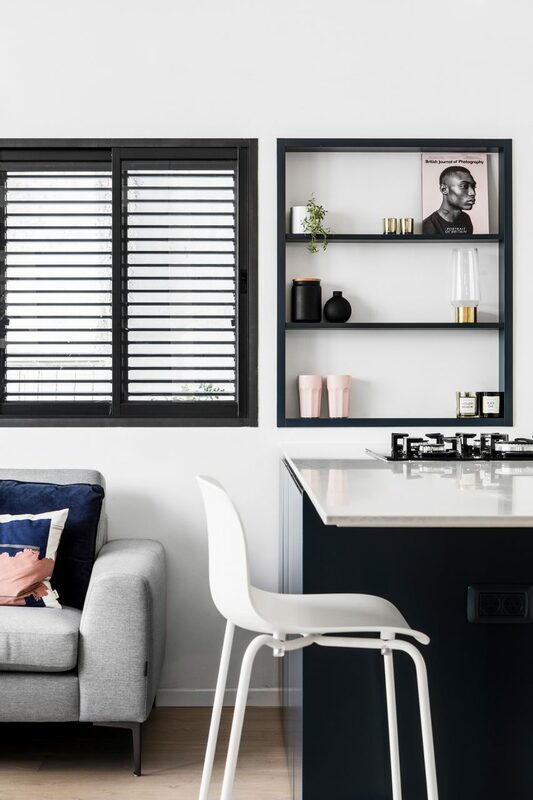 A three-and-a-half-month renovation process started with ripping out the apartment’s existing interior, which only offered two bedrooms, one toilet and an enclosed kitchen. The owners requested privacy and acoustic separation between the rooms, which led Zusman to use solid units rather than transparent glass partitions to segregate the space. The placement of these partitions and their white finish ensures the space remains bright and doesn’t feel cramped. The main bathroom squeezes in a toilet, sink unit and compact bathtub, as well as storage built into the partition wall. A small window through to the en-suite of the parents’ bathroom allows natural light to enter. The children’s rooms are accommodated behind the kitchen and dining area. They both feature custom-made cabinets and are decorated to match the rest of the house.